The songs of Will Oldham have been written most often for the aliases of Palace or Bonny. Their identities kept necessarily separate from Will's, the songs were written to create a singular encounter, to be shared among those who choose to listen. 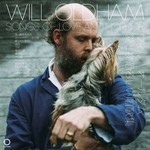 Songs of Love and Horror is a rare entry in this oeuvre: a Will Oldham album, with the writer taking a turn as singer. As befits the nature of this project, the songs are sung and played by Will alone, in a setting enjoyed by fans of his music - that of one voice and one guitar, the better to savour the spare changes and starkly-cut lyrics, operating in quiet tension and ultimate collaboration. Will brings to the songs all that he has learned from his stage-crafting fellows over the years, singing new versions that quiver like fresh young things in the air of today.